Rolling ATA case to protect your sensitive audio gear on the truck. 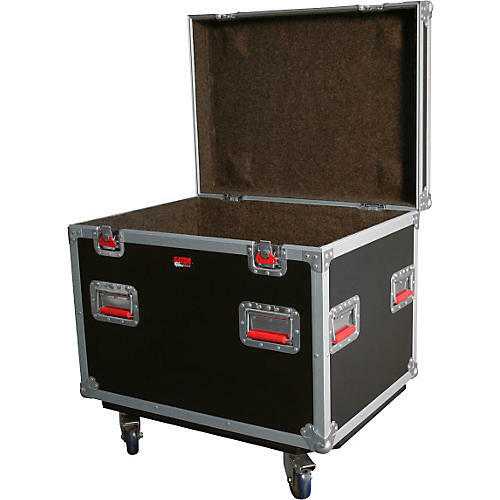 This tour-style, ATA compliant case features 5mm plywood construction and heavy-duty zinc-plated hardware. Spring-loaded heavy-duty handles and tongue-and-groove aluminum extrusion. This Gator Case ensures safe traveling for all your audio equipment. Interior: 28" x 20.75" x 20.75"
Exterior: 30" x 22" x 22"